The Achilles tendon is a vital part of human anatomy that helps us bear the weight of our bodies and live active, healthy lives by facilitating movement of many types. Unfortunately, it's also a load-bearing portion of the body that may suffer from pain and inflammation that is commonly known as Achilles tendinitis. This condition, while often only an issue with older individuals who live fairly active lifestyles, can be a debilitating issue that could affect one's ability to walk and could require surgery to correct if not addressed before any damage done becomes permanent. 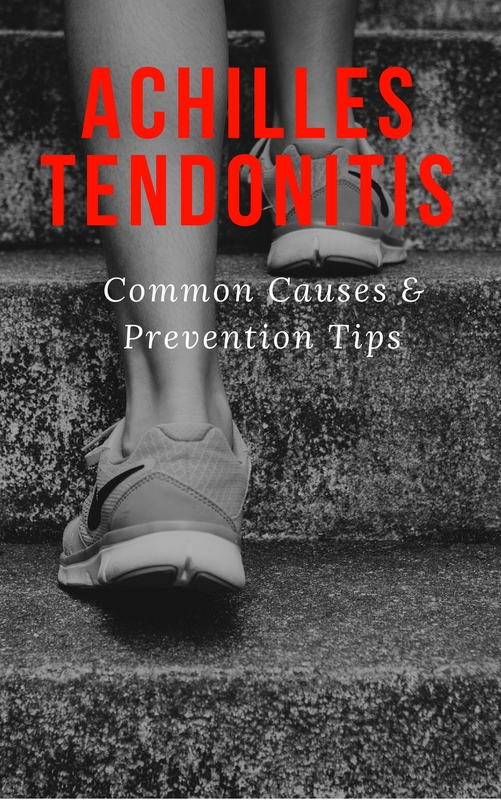 Thankfully, avoiding and dealing with tendonitis can be a simple process if its symptoms are identified and treated early. Boasting the unique title of the strongest tendon in the human body, the Achilles tendon or heel cord is a length of tissue joining the heel bone and calf muscles together into a functional part of the leg that allows for advanced mobility. Without it, standing on one's toes would be impossible, thus making balance something of an issue. Unfortunately, due to the stress put on it during something as simple as a walk cycle, tendon injuries are far from uncommon and can seriously hurt one's ability to walk. Those who take part in regular physical activity are most likely to suffer a tendon injury and that chance only increases with age. Anyone with an intense physical fitness regimen is likely to deal with muscle pain at some point in their career but an injury to one of the most vital tendons in the body isn't equitable with a pulled muscle. As you age, you become especially susceptible to injury and tendon problems rank fairly high on that list. Decades of wear and tear on any part of the body will weaken its ability to support you and the Achilles tendon is nearly impossible to avoid working throughout one's lifetime. To make matters worse, something as simple as wearing improper footwear can contribute to injury or stress that could lead to further tendon problems. Though the correlations between footwear and tendon injury aren't written in stone, there is a noticeable link between those with improper footwear or arch support and instances of tendon injury. Unfortunately, there is no surefire way to prevent Achilles tendinitis. The links between activity, footwear, predisposition to muscle injury and other factors are not fully understood by modern medicine. On the other hand, there are ways to significantly reduce your risk of becoming susceptible to tendon injuries even if you live an active lifestyle, so hope is not lost. For starters, ensure your footwear is appropriate for the exercise regimen or job you currently hold. Any form of employment that requires you to move about frequently or spend most of the day on your feet should be met with shoes or boots that support your arches and reduce the shock of walking or jogging impact through the use of cushioning soles. Ensuring your shoes fit properly can also safeguard you against ankle and tendon injuries that might compound into more serious issues. Stretching before you begin a workout or even before starting your day ensures your muscles and tendons are warmed up and ready to perform. Starting any high-intensity activity without a warm-up can often lead to pulled muscles at best and serious strains in worst-case scenarios. In the same vein, it is wise to approach exercise carefully, choosing only to engage in activities you know your body is prepared to handle. Jogging before transitioning to full runs, for instance, gives your body time to acclimate and builds up muscle that can prevent injury. Watch what forms of exercise you participate in as well. Movement up or down hills, especially while running, leaves you especially susceptible to tendon issues as your body must adjust to compensate for varying heights and obstacles in the course of your run. Avoid hilly areas when jogging or running and if any particular form of exercise leads to tendon pain, stop immediately. Running five days a week may be great for your cardio but it also puts constant and repeated stress on the same areas of your body. Switch up high-intensity and low-intensity workouts throughout the week if at all possible. Cycling and swimming are great ways to stay in shape that put far less stress on your body than running on any kind of terrain, though you should still ensure you warm up and stretch appropriately before engaging in these activities. In the end, it is nearly impossible to guarantee you'll go without suffering from Achilles tendinitis in your life. There are a great many ways to lessen its possibility of plaguing your daily routine and common sense will help keep you safe. As always, if you start to notice stiffness or pain in your tendons and find your quality of life degrading, speak to a healthcare professional immediately. Treating tendinitis early can be the difference between soothing it with bath soaks and requiring costly surgery to correct long-term damage. 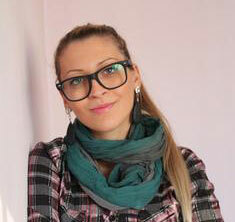 Author Bio: Amanda Wilks is a professional writer and a Work Boot Critic contributing author. She has a great interest in everything related to health and self-improvement and she enjoys writing on these topics as often as possible. Visit Amanda’s Twitter for more of her writings. ?What is Iliotibial Band Syndrome (ITBS)?